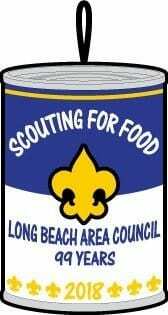 During the first two weeks of November, local Scouts set out to collect as much canned food as possible to donate to local agencies. Scouts in the greater Long Beach area give over 35,000 hours of community service right back to the communities where they live. Without much fanfare or praise, Scouts regularly provide service to those in need.